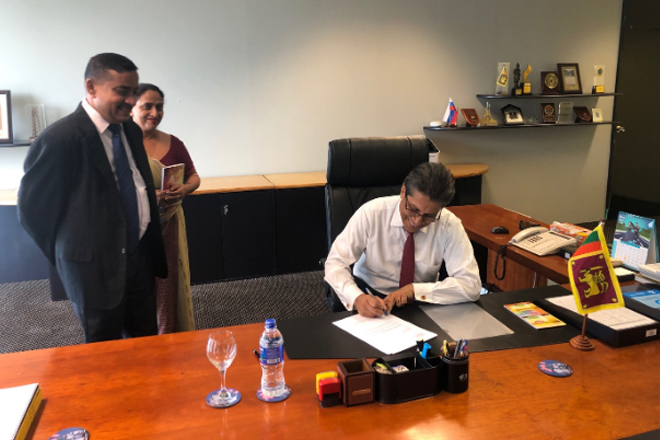 Apr 11, 2019 (LBO) – Mangala PB Yapa has been appointed as the new Chairman of the Board of Investment of Sri Lanka, President’s Media Division said in a statement. According to the statement, he has received his appointment letter from President Maithripala Sirisena at the Presidential Secretariat this morning. He assumed duties as the 22nd Chairman of the country’s apex investment promotion authority, following an earlier stint as a Member of its Board. Previously, he was the Managing Director and Chief Executive Officer of Colombo Dockyard, a CSE-listed company, for many years and led the company’s rapid growth and international expansion. Subsequently, he headed the Ceylon Chamber of Commerce (CCC) as the Secretary-General/CEO and was also President of the National Chamber of Exporters (NCE). Yapa holds a Master of Science in Engineering (Hons. ), from Astrakhan Technical University, Astrakhan, Russia and a Master of Business Administration from the Postgraduate Institute of Management (PIM), University of Sri Jayewardenepura. He is a Fellow of the Institution of Engineers, Sri Lanka (IESL), Chartered Engineer accredited by IESL and a Member of the Institute of Marine Engineering, Science and Technology, UK, a Founder Fellow of the Chartered Professional Managers (FCPM) and a member of the PIM Alumni. He is also an alumni of the Harvard Kennedy School’s ‘Leading Economic Growth’ Executive Education programme.